Please welcome YA author PJ Sharon! 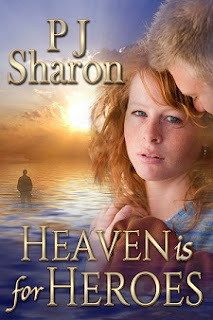 She's here to talk about her contemporary YA/NA romance novel, Heaven is for Heroes. So, be sure and check out the blurb and excerpt below and her Story Behind the Story. Thanks for sharing PJ! Seventeen year-old Jordie Dunn must face the loss of her brother when he’s killed in the war in Iraq. But Jordie doesn’t believe the military report that his best friend and fellow Marine, Alex Cooper, is at fault. In her quest to find the truth and help Alex, the guy she’s had a crush on since the ninth grade, Jordie discovers that the truth isn’t the only thing she wants. A disgraced young Marine is faced with a tough recovery, a rekindled high school crush, and the girl determined to prove his innocence. HEAVEN IS FOR HEROES came about because I wanted to give voice to the generation of teens who are growing up in a time of war and dealing with the many losses associated with that issue. My father was a WWII vet, my sister was in the Navy, and I had two brothers in the military—one in the army, the other in the Marines—so I have a firsthand understanding of the deep roots of patriotism in a military family. One of my brothers committed suicide, and being Catholic, the question as to whether he would go to heaven haunted me for many years. Writing this book was my way of answering that question. Set in a fictitious Connecticut lake-town, the story has the feel of hometown USA and is relatable to anyone questioning the value of war and the cost to the families of lost and wounded soldiers. Although the main character, Jordie, is only seventeen, she has spent most of her teenage life studying martial arts and yoga, her Grandfather’s solution to keeping her from following in her brother’s destructive footsteps. When Alex Cooper, her brother’s best friend and the guy she’s been crushing on since the ninth grade, returns home wounded and determined to blame himself for her brother’s death, Jordie uses her experience and pushes the boundaries of convention in her attempt to help him recover. Heaven Is For Heroes takes you through one family’s loss, and the recovery of a young Marine dealing with both the emotional and physical ravages of war. It’s the story of how the love and determination of one person can change a whole family, and how the truth they’ve been hiding from can set them all free. I hope you enjoy this heartwarming Thanksgiving story. As thanks to our Veteran’s, a portion of November’s sales of HEAVEN IS FOR HEROES will be donated to the Wounded Warrior Project. 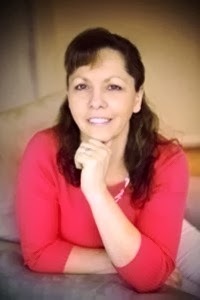 Award winning author PJ Sharon has several independently published, contemporary young adult novels, including Molly finalist, HEAVEN IS FOR HEROES, FAB Five finalist, ON THIN ICE, and SAVAGE CINDERELLA, Winner of the 2013 HOLT Medallion Award and the National Excellence in Romance Fiction Award. She is excitedly working on The Chronicles of Lily Carmichael, a YA Dystopian trilogy. WANING MOON, Book One, was runner up to SAVAGE CINDERELLA in the National Excellence in Romance Fiction Awards and a finalist in the Colorado Excellence in Romance Fiction contest. Her books are available on Amazon, B&N, and Smashwords. WESTERN DESERT, Book Two in the trilogy is now available at Amazon.